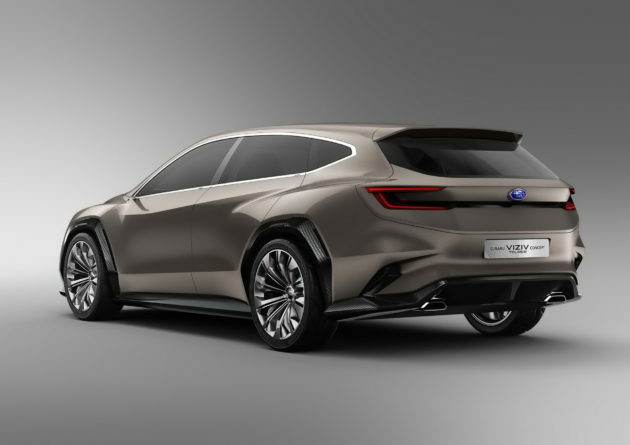 True car wagon is intended as a family car, with the typical control of the sedan but the practicality of an SUV that became the selling point. Unfortunately this type of car is less salable in Indonesia, but in the ranks of classic cars and retro, the price is soaring guys..
Subaru Viziz Tourer also seemed to want to make the consumer bewitched with his charm, not merely a wagon must be boring really. 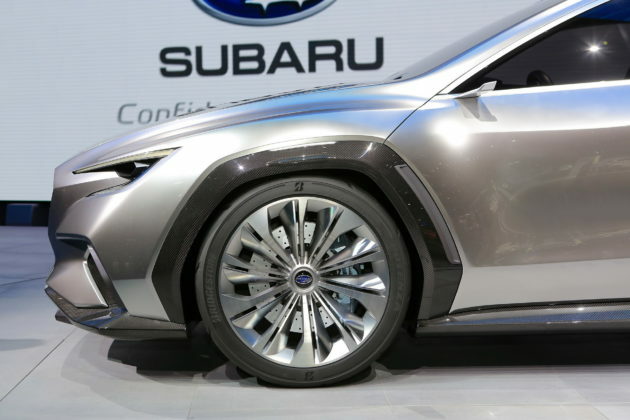 Subaru remains Subaru, still relying on AWD drive and true crossover layout. Problem dimensions, unfortunately he was only able to carry 4 adults, supposedly with a large body, at least accommodation for 5 people can diusungnya. However, who does not agree that its body lines are quite positive views? Combined with the grille, fenders, stern and aggressive overall image, we still feel this is really good. About technology, this car uses a driver assist called EyeSight driver system that works by using radar and GPS-based navigation. There is no such thing as an accident if you ride this car, yes yes? If the back or side crashing how? Yes still the driver must be legal to be careful. There is no further detail of the car that appeared in Geneva, hopefully it can quickly enter the production line, yes at least in 2020 and may be the next generation Levorg, it's wagon-based Impreza of Subaru. 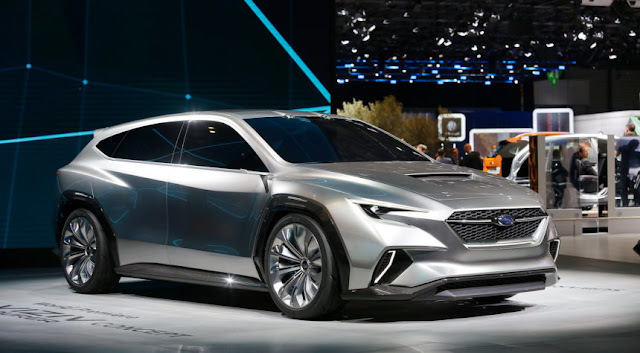 0 Response to "Subaru Viziz Tourer, Modern Crossover Wagon"